Enjoy the blend of classic and contemporary with the terrific Orgain Bistro Dining Table in matte black. 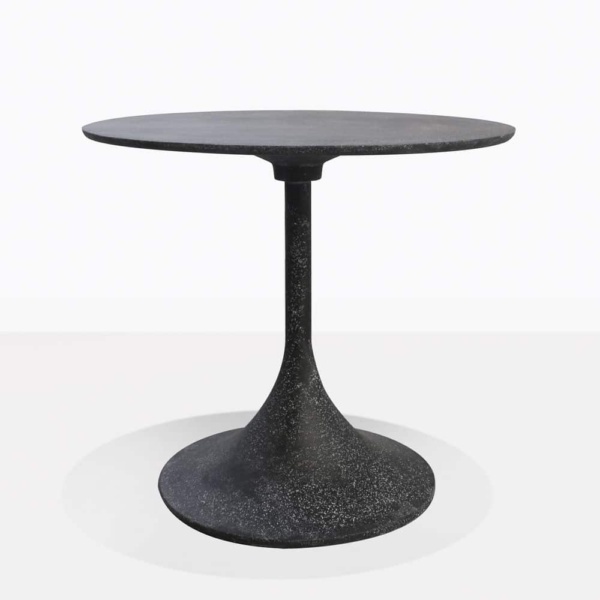 A refined style with the stunning blend of concrete composite and steel in striking black, the Orgain Bistro Dining Table will make a tremendous impact in your outdoor area. Place your Orgain Black Dining Table on your apartment balcony, with two very simple dining chairs to enjoy the splendour of your surroundings in extraordinary style and comfort. Perhaps you’re designing a new restaurant or cafe courtyard? Why not make a considered, chic impact with the Orgain Bistro Table en masse in your outdoor setting. A truly dramatic look and yet uncomplicated. 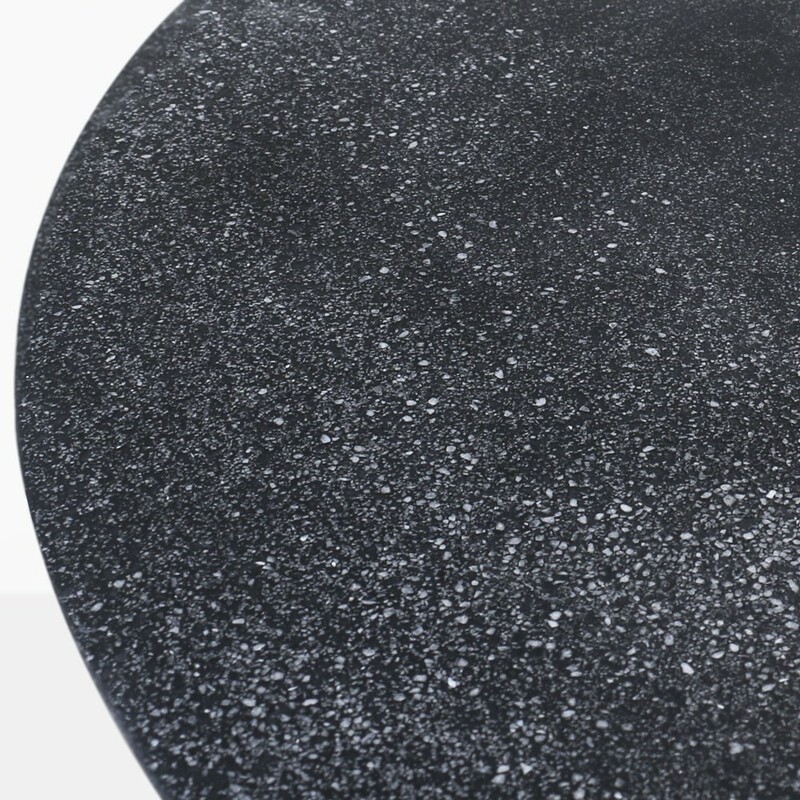 Allow your customers to revel in your superb and stylish setting. Situate this glamorous Orgain Table alongside your deep seating suite for an ideal place to dine after a relaxing weekend! Design Warehouse has an exciting, detailed array of fabulous designs, amazing materials, and options galore for our customer! Whether you’re opting for deep seating, dining, shading, accessories, relaxing chairs or something else, we know we will have a perfect piece to transform your space into one of luxury and quality. 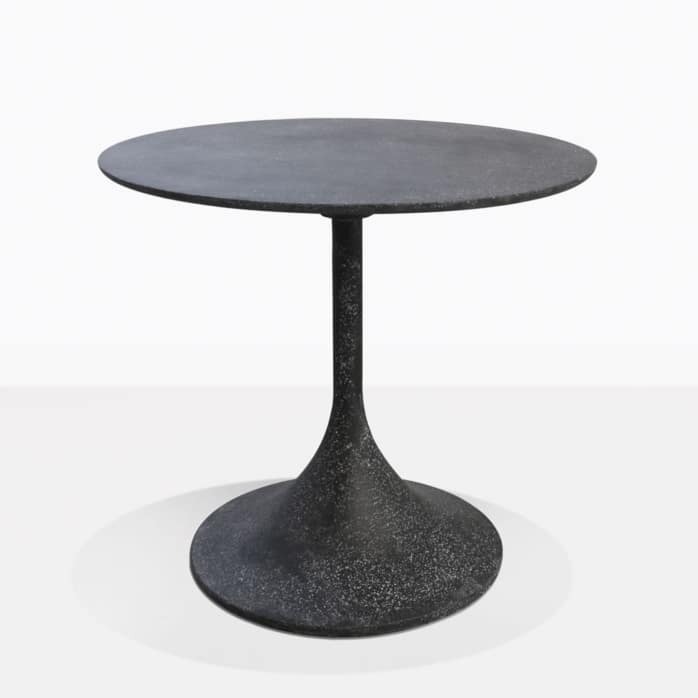 The Orgain Outdoor Bistro Table is available in both black and grey colours, so you may choose a look that suits your space and taste. Call Design Warehouse now and order your very own Orgain Bistro Outdoor Dining Table. You’ll be thrilled with the results!